What Makes a Bad Checklist? Perhaps the most enlightening passage in the book comes from Daniel Boorman, a man who has spent the past 20 years developing flight checklists for pilots using Boeing airplanes. “There are good checklists and bad, Boorman explained. Bad checklists are vague and imprecise. They are too long; they are hard to use; they are impractical. They are made by desk jockeys with no awareness of the situations in which they are to be deployed. They treat the people using the tools as dumb and try to spell out every single step. They turn people’s brains off rather than turn them on. Good checklists, on the other hand, are precise. They are efficient, to the point, and easy to use even in the most difficult situations. 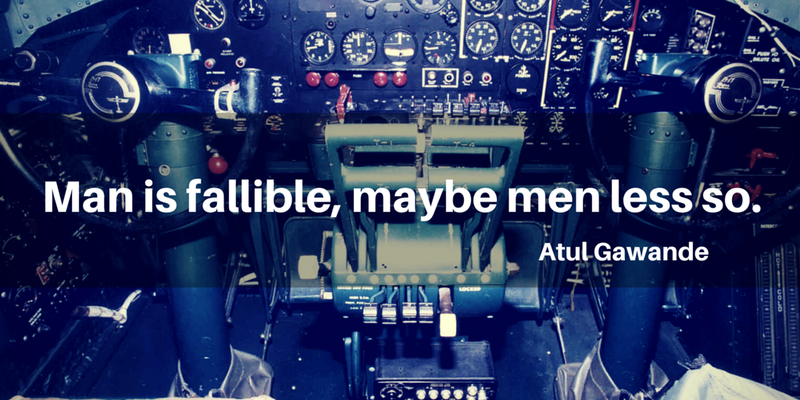 They do not try to spell out everything—a checklist cannot fly a plane. Instead, they provide reminders of only the most critical and important steps—the ones that even the highly skilled professionals using them could miss. Good checklists are, above all, practical. 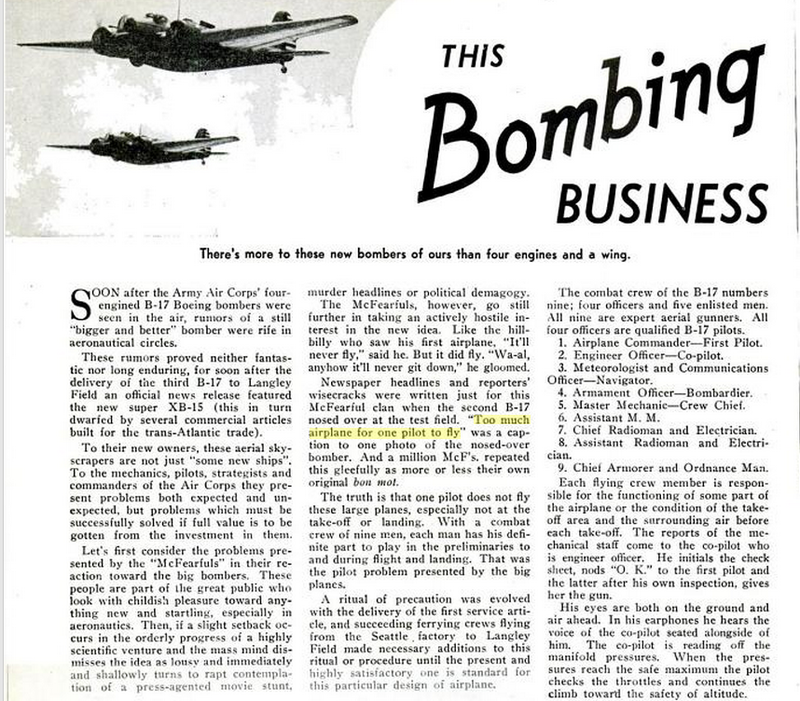 Much of the book revolves around the checklists used on the planes that are said to have been a huge driving factor in the World War II victory, the 299 variant of the Boeing B-17. Despite being deemed in 1935 ‘too much airplane for one pilot to fly’ by the newspapers, the beast was tamed with the power of one simple checklist. As Boorman said, however, checklists don’t do the job by themselves. In another notable chapter Gawande visits a building site in Boston and speaks to Joe Salvia. Joe is the Vice President of Maloney Properties, a Wellesey, Massachusetts-based property development firm, a big part of which involves construction. After wondering about how buildings as complex as skyscrapers can be built without error, Gawande seeks out Salvia to discuss how he personally avoids the perennial problem of human fallibility. A mix of team communication and collaborative checklists, Salvia explains, is enough to avoid 99% of errors. A patient is rushed to an L.A emergency room on Halloween night with a stab wound in his stomach. What weapon would you assume he was stabbead with? He was treated as if he had been stabbed with a knife but it was later revealed the weapon that had almost killed him was a bayonet – it happens plenty. A bayonet in Los Angeles is not the first thing that springs to mind. If there was a checklist for gathering information in the ambulance or emergency room, the nurses would have found he was stabbed at a costume party with a blade far longer than your everyday knife. If that was the case, the patient wouldn’t have almost died. While most people aren’t involved in the kinds of industries that hold them responsible for structural integrity or human lives, most are involved in making money. When it comes to business, behind-the-scenes efficiency is incredibly important. It powers sales, customer relations, communication and every pillar of the ancient business models that are still used today. The popularity of productivity tools in the modern age shows just how easy it is for humans to fail, to forget and to make a mess of things. Tools like Process Street, as proven by The Checklist Manifesto, are invaluable in an age where things only ever get more complicated. The Checklist Manifesto wasn’t what I expected. As I was reading it, most of the time I was wondering what dramatic medical stories had to do with checklists. At some point it all clicked into place and I realized that the anecdotal style of the text was logical, systematic and comprehensive, with all the stories interlocking, building to the author’s final tale of success. Incredibly persuasive, it gets into your head and argues a point through storytelling so subtle you don’t realize it’s an argument at all – unlike some manifestos I’ve read. Rather than a manifesto, I feel read the story of how one surgeon influenced thousands worldwide with a tool that is just mundane enough to be brilliant. 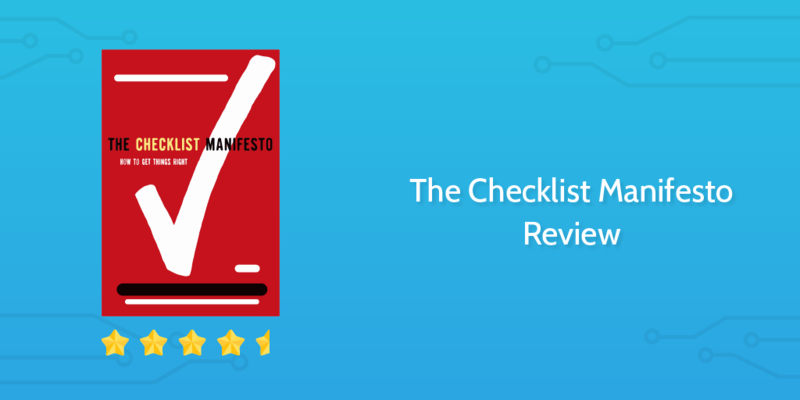 If you enjoyed The Checklist Manifesto, you should take a look at our checklist software built on the principals of the book. You can sign up for a free account here. Have you read the Checklist Manifesto? We’d love to hear your thoughts about the book, so leave a comment below. Thanks! Fantastic to hear you’re giving it a shot. Let me know how it goes in the future!